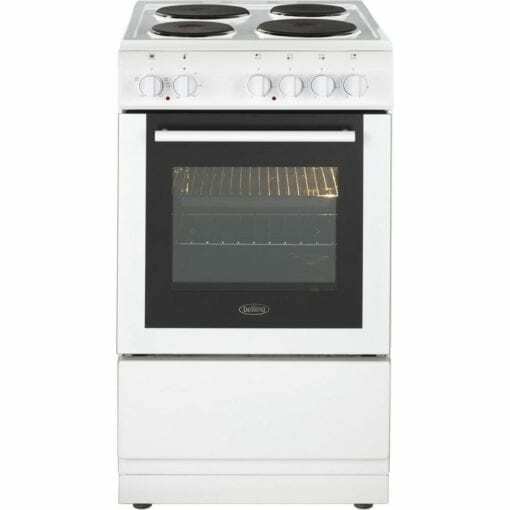 The FS50ESWHI is a top quality cooker from Belling, offering great value for money. 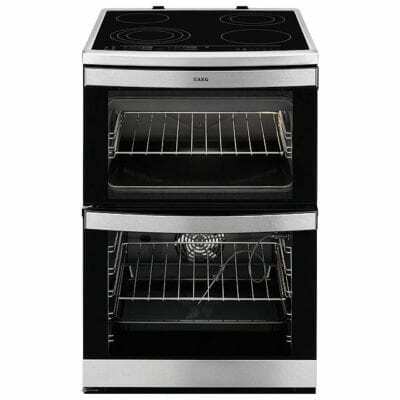 The large oven and integrated grill are perfect for cooking up all sorts of dishes. This cooker looks great in both modern and traditional kitchens, thanks to its simple-yet-stylish design. 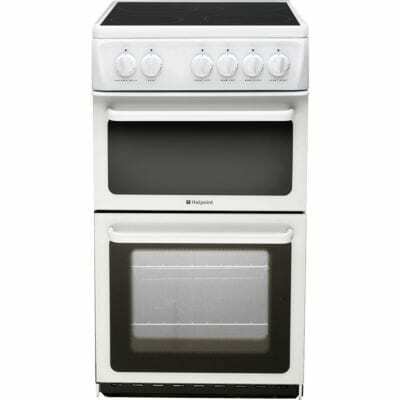 The white finish, sealed plate hob and double glazed glass oven door give a clean and tidy impression. 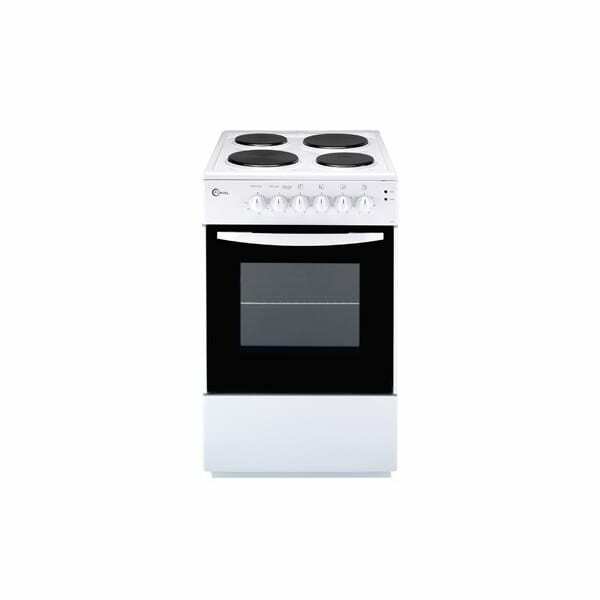 Belling are famous for their compact cookers, and while this is a full size version, it’s slimmer than some. The FS50ESWHI measures just 50 cm across, whereas many cookers are 55 or 60 cm wide. As a freestanding model, there is a lot of flexibility with where FS50ESWHI can be placed. The narrow design means it won’t take up much floor space either – perfect if you don’t have much room to spare. 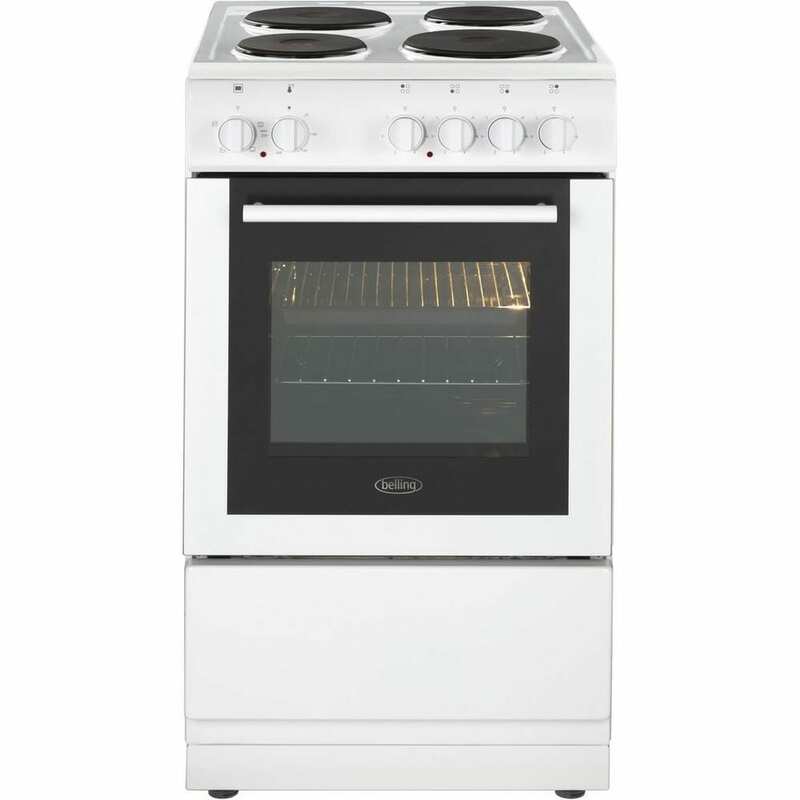 This oven offers a fantastic range of functionality for both novice and experienced cooks. The oven has 55 litres of usable space and comes with two different functions. The static cooking mode uses both the upper and lower heating elements for even cooking, while the lower heating function uses only the lower element – ideal for heating up yesterday’s leftovers. Cook up a full English breakfast in no time thanks to the standard and fast grilling functions. A full-width grill pan is also included. The hob has four heating elements of three differing sizes and power outputs. There are two rapid hotplates, marked with a red dot, that heat up faster than the standard ones. These are ideal for stir-fries and flash frying. Spending hours cleaning the oven is a thing of the past thanks to the easy clean enamel lining. The specially-designed lining stops food from fusing to the surface so it’s easier to remove. With an A energy efficiency rating, this is a simple, no-nonsense design that’s really easy to use. If you’re after a reliable cooker at a great price, this model is perfect.